The ideal open-plan kitchen-diner is a light-filled, casual space where cooking and socialising combine. Use our ideas to make the ideal a reality in your home. The walls are coming down. Formal separate cooking and dining areas are becoming a thing of the past as more of us opt for blended spaces for cooking, socialising and family time. It sounds so simple – but you’ll need the right layout, equipment and fittings to make a kitchen-diner that’s right for your lifestyle. 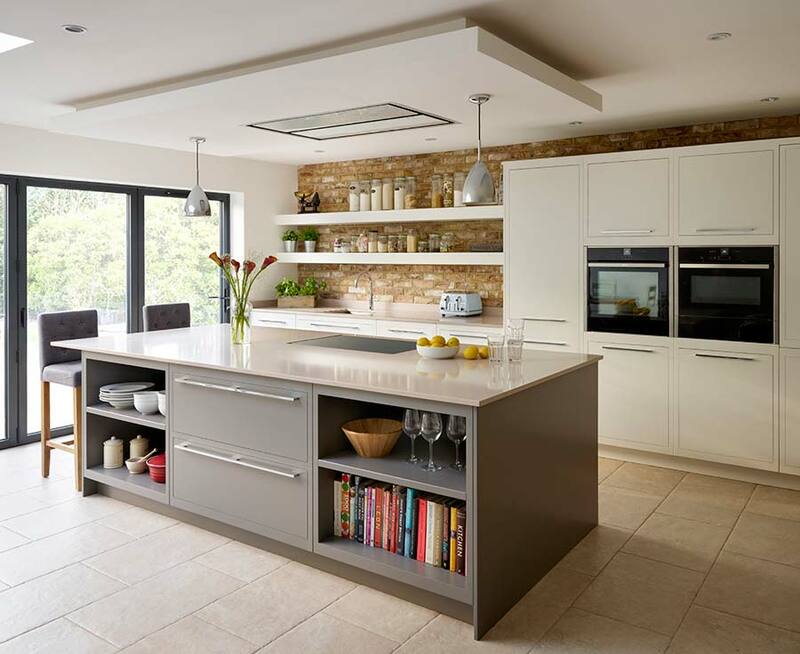 Follow our tips to make sure you have everything covered as you plan your perfect open-plan kitchen-diner. Featuring sleek lines and concealed hinges for a contemporary aesthetic, the Linear kitchen by Harvey Jones comes primed ready for painting in any colour you like. It’s priced from £18,000. A kitchen-diner is great for many households, but to get the most from yours, start by thinking how you can most benefit from it. If you’re often frustrated at preparing meals alone in the kitchen, for example, then put food preparation at the heart of your new kitchen-diner. You’ll be able to socialise with guests or chat with the family – and maybe even get a helping hand. Practical tasks can become easier too if you plan ahead. For example, a dining table positioned close to the kitchen means shorter distances to carry hot food – ideal if you have small children. If your kitchen-diner is combined with a larger living space, your family will be able to spend more time together. One of your children could be watching TV in the living area, while another is at the dining table doing homework. Meanwhile, you can be in the kitchen getting dinner ready. 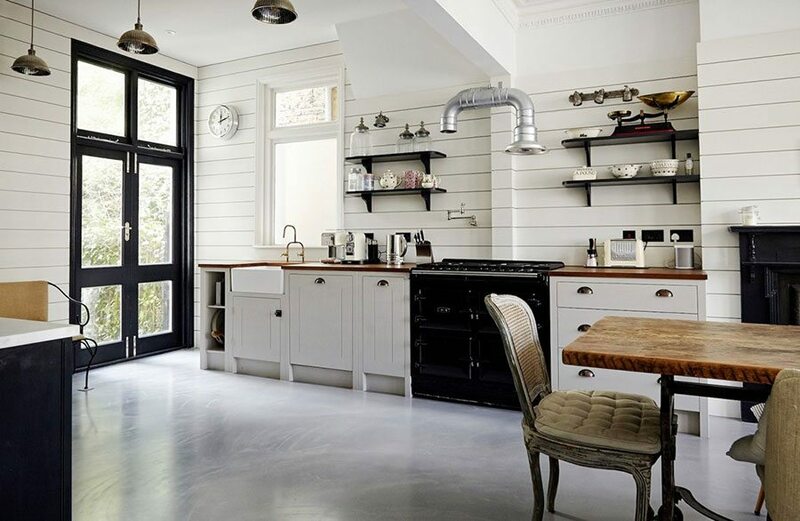 An open-plan kitchen-diner can also create the illusion of extra space. Fewer separate rooms means fewer walls, fewer doorways, and a longer run of flooring, making your home seem larger and brighter. 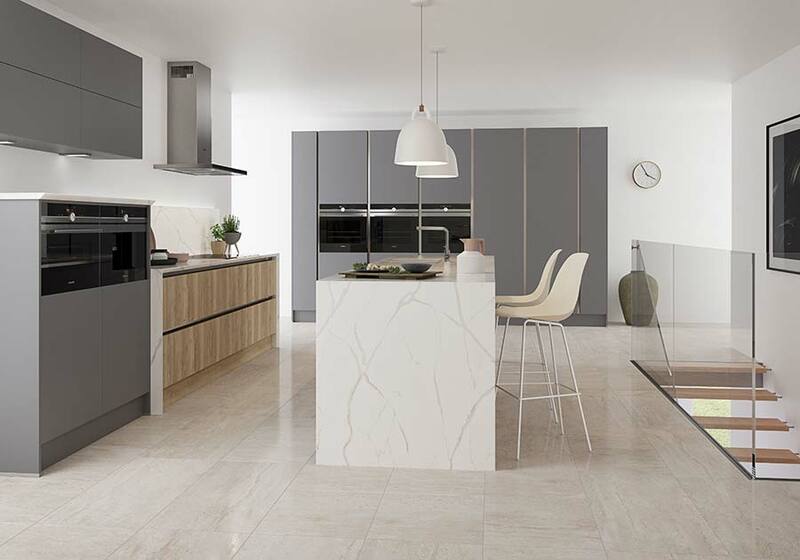 LochAnna’s Mala kitchen is offered in a series of seven contemporary gloss finishes including grey and cream. It’s priced from £7,000. Before you begin choosing cabinets and experimenting with colour schemes, you’ll need to make some decisions about the existing space. Start by asking yourself whether you want to knock down any walls. If your kitchen is adjacent to a dining or living room, it may be possible to remove the wall to create a much larger space. This will give you more freedom when it comes to design, and it means more people will be able to enjoy the room at once. If you’re keen on this option, your next step is to check whether it’s safe in your home. Read our beginner’s guide to removing internal walls before you reach for the sledgehammer. If knocking down an internal wall isn’t an option, you could consider a rear or side extension. Although this can be costly and time-consuming, it will give you exactly the space you want as well as adding potential value to your home. 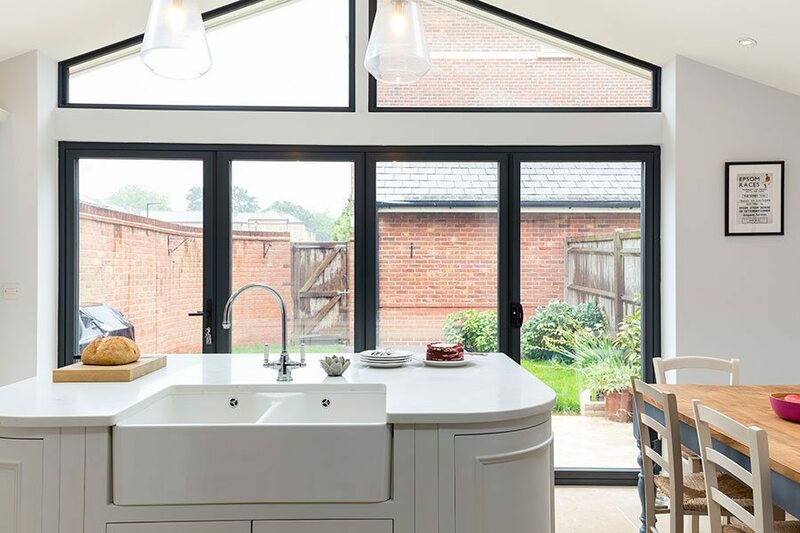 To weigh up whether this and other structural changes are worth it, check out our guide to kitchen extensions. 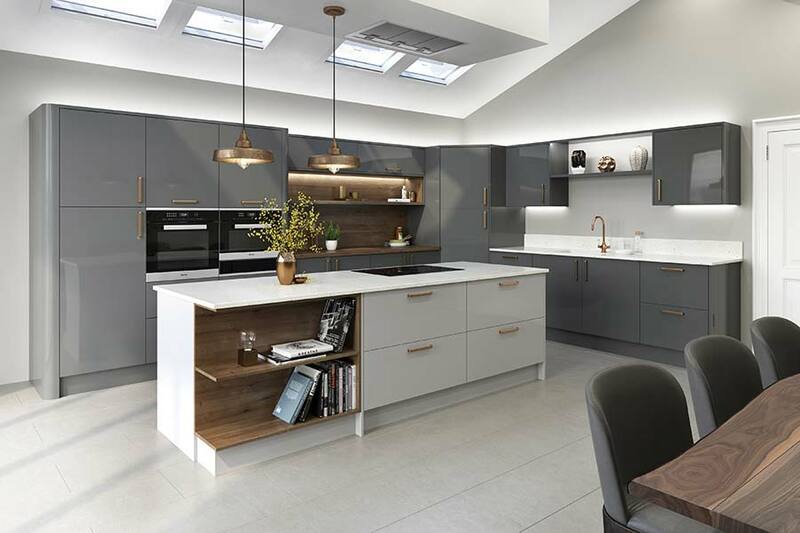 The Mobalpa Melia kitchen (shown in in matt black and glossy greige) is available in 22 colours and 17 carcase colours that can be coordinated both inside and out. The starting price is £11,000. To add a sense of space and to keep your open-plan kitchen-diner light, consider adding French, sliding or bi-folds doors to give you easy access to the garden. Success comes down to how well you can make the outside a natural extension of your living space. These design tips from our panel of experts will get you started. A bank of rooflights will also do the trick, as will installing roof lanterns above the kitchen or dining table. If your kitchen-diner needs any kind of structural work, you’ll need to enlist the services of an architect and builders. Your architect will draw up plans for the project, which will need to be submitted to your local authority’s planning department if your project needs approval. The builders will then use these plans. For peace of mind, ask friends and family for recommendations when it comes to architects and builders. It’s fine to ask to see previous projects and speak to previous clients. Alternatively, you may find it easier to use a company that can handle everything from the plans to the building and fit-out. The best location for a kitchen-diner is at the back of the house, overlooking the garden, with French, sliding or bi-fold patio doors to maximise views. This setup sees the kitchen to one side or at the back of the space, with living and dining nearest the garden, which can act as an extension of the interior. Regardless of your home’s layout, it’s always worth spending time thinking about how you’ll move around the space. For example, the dining table should be within striking distance of the kitchen so that you don’t have to cross the living area with hot food or dirty crockery. 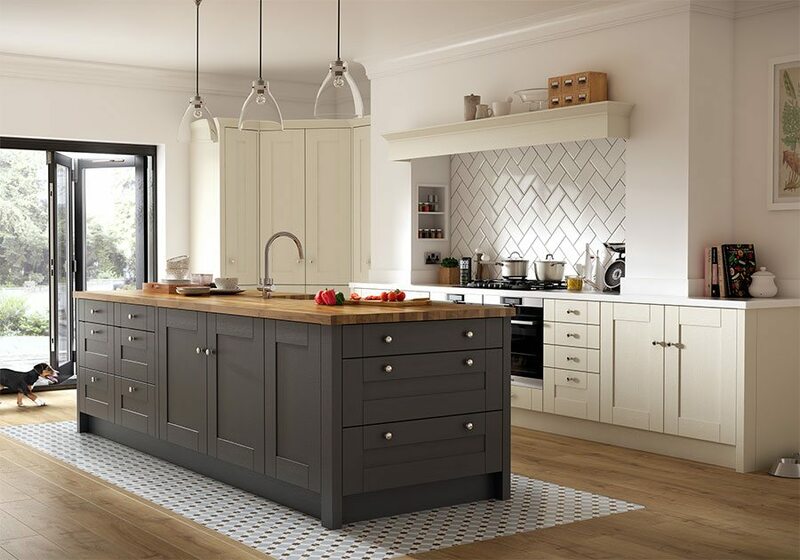 The Chelsea matt dove grey kitchen from Benchmarx kitchens, shown with solid oak worktop, is priced from £3,069 for an eight-unit kitchen. If you have a large space, it’s important to define the different ‘zones’ of activity clearly. Without this, the room can look empty and feel muddled. One way to create zones is with an island unit, which separates the kitchen from the living-dining space but connects the two and allows the cook to join in the conversation. Before you look at islands, first think about how you’ll use one. Will it be mainly for preparation and cooking? If so, then consider incorporating a sink, a hob and even a dishwasher. Do you want somewhere for guests to sit and chat? A raised countertop with tall stools is a practical solution. Need somewhere for the children to do homework? Some island units have a drop-level surface that can be used as a desk. For more tips, read our guide to planning the perfect kitchen island. This Turbine Grey quartz worktop from Caesarstone’s Supernatural collection echoes the aesthetic of granite. Priced £500 per sq m.
Changing the flooring is a subtle way to distinguish the kitchen from living and dining areas. For instance, choose hardwearing, easy-to-clean tiles for the kitchen where spills are likely to occur, and wood or carpet for the living area to add warmth. 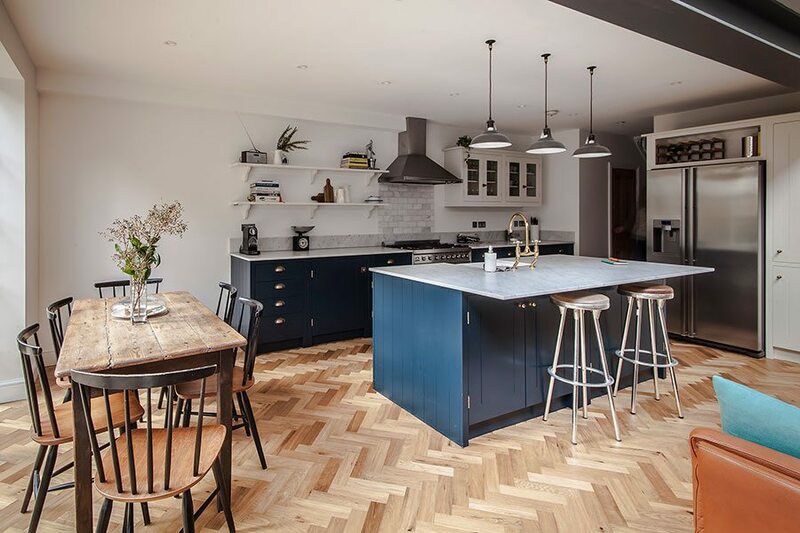 Alternatively, you could run the same flooring throughout to link the areas visually, then add definition with rugs – perhaps one under the dining table and another in the living space for a cosy touch. Varying the ceiling and floor height is another way to define the different zones in an open-plan space. 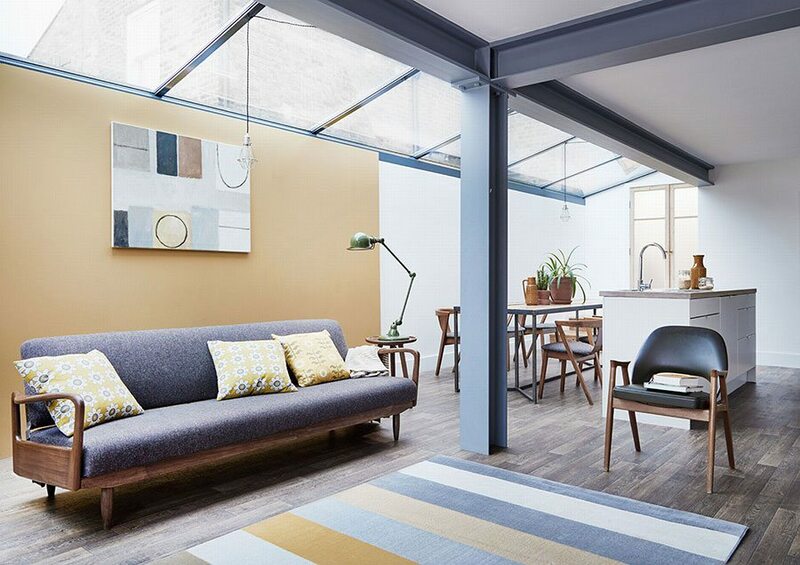 Learn more with our guide to dividing an open-plan space. Use a rug to create the illusion of different areas in an open-plan space. Pictured is Goliath Authentic Beige Vinyl, priced £23.99 per sq m at Carpetright. Storage is the secret weapon of every well-conceived kitchen-diner. To make sure you have enough, look at the storage you currently have and consider what you’d like to keep. 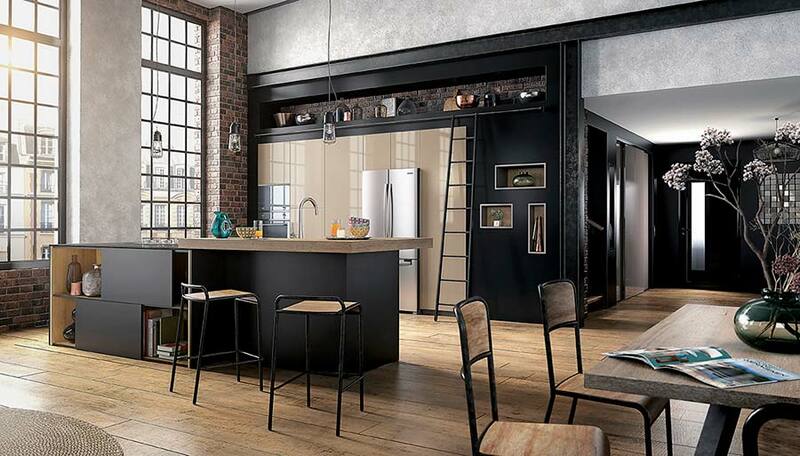 Then look to the future: who will use your new kitchen-diner and how? What storage will they need? A tall pull-out unit is a great option regardless of how your kitchen will be used, as it makes efficient use of horizontal space and is easily accessible. A larder is another popular addition, boasting plenty of space to stash dried and tinned goods, tableware and condiments. Some even incorporate a small worktop, which is perfect if you need extra prep space or want somewhere to hide away the kettle and toaster. Drawers are another accessible storage option. They’re easily hidden behind a single cupboard door (shown) if you want a sleek look. 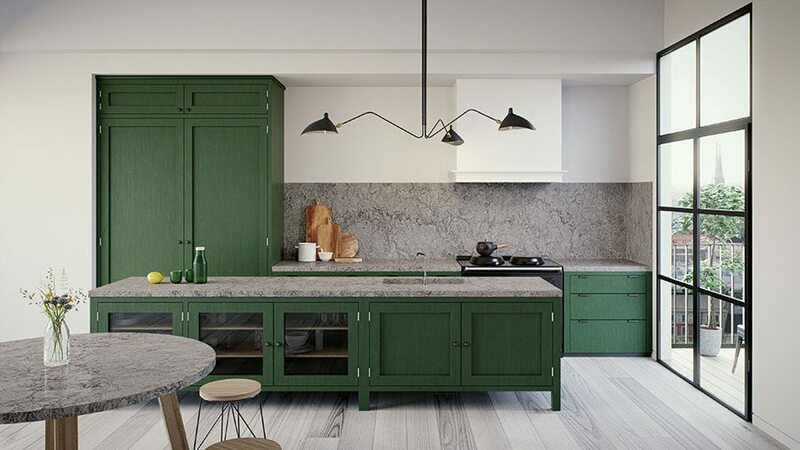 “When I’m cooking, the things that make a difference are great lighting, clever storage and a sensible layout,” says chef Michel Roux Jr., who incorporated these elements into his Roux kitchen, created in collaboration with Moores. It’s priced from £35,000. If you’re generally neat and don’t need to hide the contents of your cupboards away, take advantage of open-fronted shelves and cupboards. These create a roomier feel and complement the idea of open-plan living, where everything is easily accessible. The downside of open storage is that you’ll need to keep your cupboards in good order. The contents may also need to be cleaned regularly if they become coated with grease from cooking. A good extractor will help reduce this. Part of the charm of your kitchen-diner is the way you can cook and dine in the same space, but you probably don’t want the smell of food to drift into your seating area. Invest in a good extractor fan to prevent this. Noise levels are also important if you plan to cook, eat and entertain in the same room. After all, no-one wants to shout over the noise of an extractor fan. 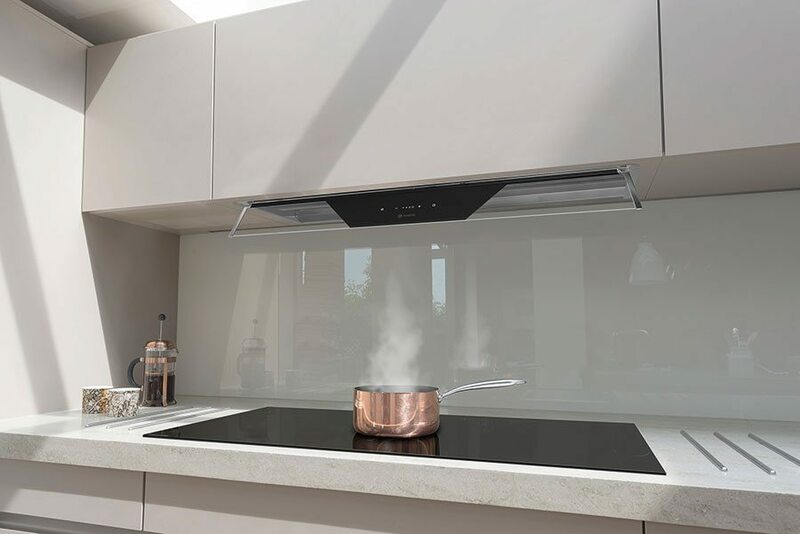 Learn about decibel levels in our guide to choosing the best extractor hood for your kitchen. Caple’s TBU850 touch-control built-under hood has been designed to keep the air in your kitchen clear of grease and minimise cooking odours. It’s priced from around £803.